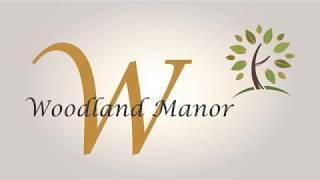 Woodland Manor Nursing and Rehab is a privately-owned, comprehensive skilled nursing facility offering a full spectrum of care including rehabilitation, short-term skilled care, long-term care and assisted living. We provide 24-hour medical care and support services to our Residents. It is our goal to meet the needs of each resident while maintaining the privacy, dignity, and integrity of each resident. That’s why our philosophy at Woodland Manor Nursing and Rehab is "Where Wellness Matters". This philosophy affects everything we do; from caring for our residents to the manner in which we conduct the business and operations of our company. We feel so good about Mom being at Woodland Manor. We love the staff. Everybody knows and loves the Residents. We love that all Residents get to be a part of eachothers' lives, they make sure all the Residents interact with one another. 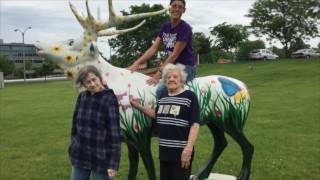 We love the programs and special events that are provided to the Alzheimer's and Dementia patients. And the staff want the family members to be part of creating special moments for the Residents. We had never seen anything like it anywhere else. Mom is happy, she is socializing more than we have ever seen her in her whole life. We had never seen her be so involved in life. She's the happiest there. She has been at other nursing homes and since she left her home she's been the happiest she's ever been. And she tells us that all the time. That means so much to us as a family! The Alzheimer's Unit has made her come alive. Everyone at Woodland is thoughtful and caring. There is a level of good care that is always given.